Dado carved in bas-relief (type 16). This type is represented by one specimen. 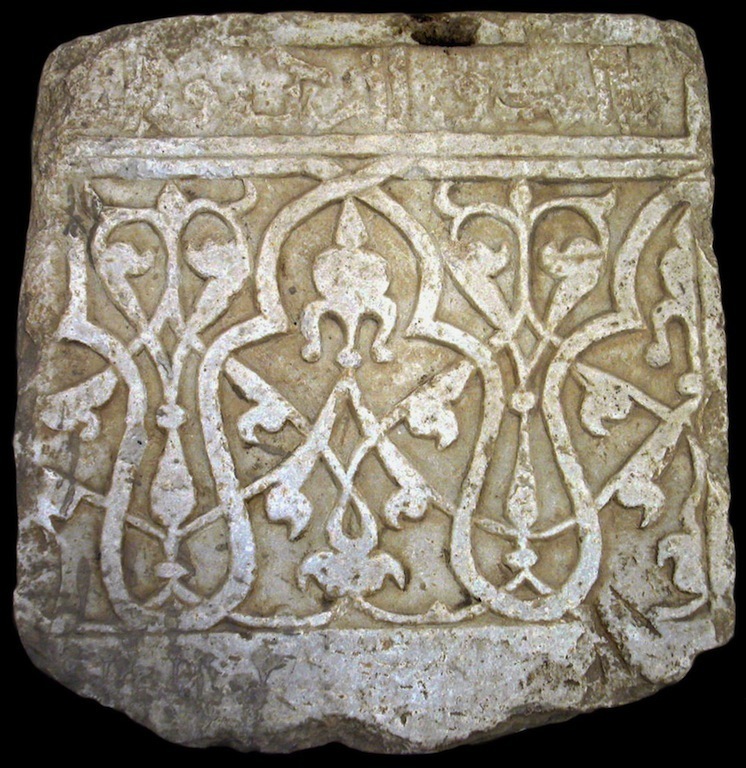 The decoration is composed of three horizontal sections: the upper section consists of an epigraphic band in cursive script, the middle section of a sequence of interlaced trilobated arches, the lower section is plain. The trilobated arches are set against a vegetal patterns composed of interlaced half-palmettes and fleur-de-lis. The height of the panel is 50 cm, its width is 52.2 cm; its thickness is unknown.